Carolina Crime Scene Cleaning | Crime Scene Inc. When faced with overwhelming and far-reaching consequences of a crime, you may be asked to make important decisions as part of the process that you have never had the opportunity or need to even consider. These decisions will be necessary during an extremely difficult and emotional time for you and your family. 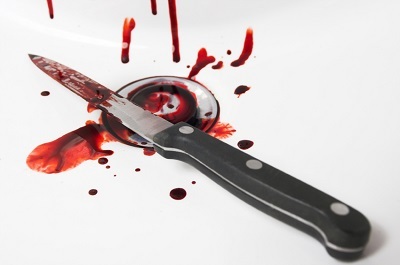 One of the most time sensitive dilemmas is how to manage the crime scene cleanup process. You may realize quickly that this is not a job that should be handled by loved ones but not know where to turn for help. If you live in the North Carolina and South Carolina regions, Crime Scene Inc. is a trusted company that specializes in all types of biohazard cleaning. As our name indicates, we specialize in professionally cleaning an area after a crime. This means that we have proven methods to eliminate all bio hazardous materials, including blood, bodily fluids and other remains so that infection, bacteria and disease are not inadvertently spread. Our team of professional grade cleaners wear protective gear to minimize the risk of contaminating nearby areas and use professional grade cleaning agents and equipment that are not widely available to the public. The result is complete and total restoration of the affected area to safety. Once our team of certified North Carolina and South Carolina cleaners have completed their job, you will be able to be confident that the crime scene can be used normally once again. We have found that this is one small step in the healing process for most family members. Our response to our clients is immediate, respectful and compassionate, understanding that this is a very difficult time for you. If you find yourself in the unfortunate circumstance of needing crime scene or biohazard cleanup services, look no further than Crime Scene Inc. Our company has members in major cities and states all over the U.S. Our response time is fast and we are available to help clients 24/7/365. We strive to take the difficult burden of crime scene cleanup off of the shoulders of the families we serve, so that they can focus on helping each other heal.